Looking for a First Grade Substitute Plan in December?! This is a NO PREP substitute plan all about hibernation! 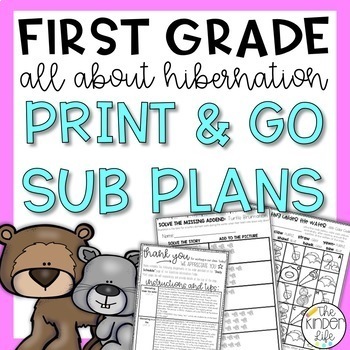 This pack about hibernation includes Reading, Math, Writing, Social Studies, and Science activities. Use this pack in a pinch by emailing it to a colleague to print and copy or use it for your own day all about hibernation! 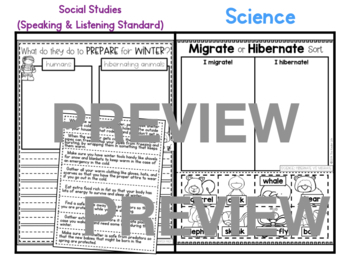 Also included: EDITABLE Substitute Information Binder and a Task Card Game for when you have time to plan AHEAD for a substitute! 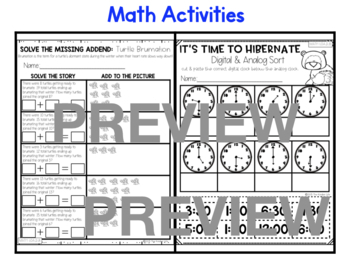 This plan could also be used in November or January because the concepts it covers are beneficial for first grade students in the beginning or middle of the year. ⭐Click the PREVIEW to get a closer look at this sub pack! →Save $$ and buy the BUNDLE! 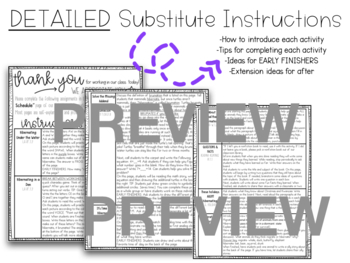 The editable sub plan folder is a PowerPoint file (So that you can edit in the text boxes!). Make sure you have downloaded a current version of PowerPoint. Please ask all and any questions for purchasing. ALL new products are 60% off for the first 48 hours! Don't forget to follow my store to get notifications about new products and sales!